Fionn Whitehead, Barry Keoghan, Mark Rylance et al. DVD: 102 min., Blu-ray: 106 min., 4K Blu-ray: 106 min. The story unfolds on land, sea and air, as hundreds of thousands of British and Allied troops are trapped on the beaches of Dunkirk with enemy troops closing in. RAF Spitfires engage the enemy in the skies above the Channel, trying to protect the defenseless men below. Meanwhile, hundreds of small boats manned by both military and civilians are mounting a desperate rescue effort, risking their lives in a race against time to save even a fraction of their army. (11) of (15) members found this review helpful. I had heard that the film had been panned by the critics, but it seemed to be making good money at the box office so was intrigued to see for myself what the film was all about. German bombs, entirely the wrong impression. No mention of the enormous rear guard actions. The scenes of ships ferrying troops back were so artificial and unrealistic as to be a joke. I agree Mark Ry lance's performance was good in what was an insipid and pallid film. I've read some very mixed reviews of this film, some thinking it was slow and boring, others criticising the lack of dialogue. If you prefer your films to be all explosive action, bombs going off everywhere, lots of blood, pyrotechnics and over the top CGI, then you'll be disappointed. If you prefer more finely crafted films, well made, good direction and fine acting, with a strong storyline and very realistically showing how life really is, then you'll appreciate a film like this for its honesty and for baring its soul! 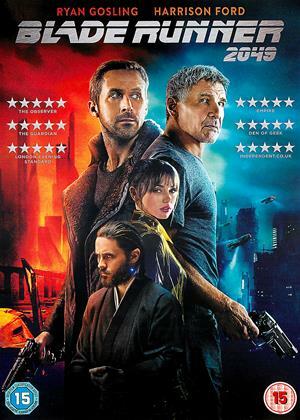 Being Deaf myself, the lack of dialogue did not affect me much, in fact it actually meant that the director, actors, scriptwriter and cinematographers etc all had to work that much harder to craft a film that worked, instead of simply being lazy and relying on excessive CGI all the time. What I was expecting was an over the top Americanised wham bam thank you mam kind of war movie, but instead was very pleasantly surprised to see a well crafted, honest film, giving the actors space to breath and actually act, giving us all round fine performances. Full of emotion, danger and realism, this is just one snapshot of how things were on the day. No tasteless and inappropriate love story weaved in, no excessive blood and gore, no over the top blowing things up, just real bare honesty, taking us back to a time when they made good war films. Something else which truly stands out in this film, is good old fashioned British patriotism at its best and it's perhaps this which some people found to their disliking in a world of insecurity and insincerity, the fact that at times like this, people can come together to help each other, to care and to want to do the right thing! (3) of (5) members found this review helpful. 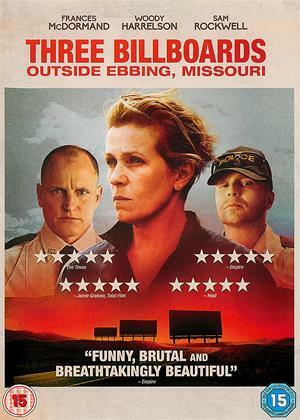 Read a less than glowing review of this film by Kevin Maher of The Times. Surprising considering almost every other critic gave glowing reports. I got to side more with KM. The action sequences, well noisy and accompanied what I thought was a great score by Hans were good but mainly strangely uninvolving- there were even short periods when I got bored. There was a distinct lack of emotional involvement with the main characters, excepting the RAF crews who were better portrayed. I gave it 4 stars because it had drama by the bucket load and was well filmed. As a spectacle it was visually stunning. The effects were very good. What surprised me most was that there was very little dialogue in the film. The story mostly follows the first character that you see and how he has to make repeated attempts to get away from Dunkirk. Some people seem disappointed that it isn’t 100% historically accurate but my view is that it is a period thriller/drama, not a documentary and I enjoyed it for what it was. Highly charged and very revealing the truth is shown of the horrors of war which are often shrouded in mythology. The acting is sensitive and beautiful and the plot scenario shows how peoples lives are not simply statistics. The loss of life was never really known to me until now with 90% of the troops seemingly abandoned to their fate with only a 10% survival rate. A film worthy of repeated viewings with the cream of British acting talent on display. Beautifully shot and very moving film.. brought home the reality of war. Very emotional without being slushy . Well filmed and drama throughout to keep you engrossed. The film could have done with more emotional content towards some the individuals and/or situations but that wasn’t missing from the RAF pilots. Atmospheric throughout and very well filmed. There are better war films out there but this film is about portraying a significant moment in history rather than just being an action packed war film. Following some pretty positive reviews from critics, I was looking forward to Dunkirk but found it wanting to be honest. The scenes of soldiers forming orderly queues on the beach, with only one Stuka attack shown struck me as curiously unrealistic, I am sure it was a much more bloody and chaotic scene than was portrayed, perhaps closer to the opening scenes of Saving Private Ryan. As it was, Dunkirk seemed curiously free of Germans. The was also a distinct overall lack of scale in the number of boats, almost like they were trying to conceal a low budget. Not very coherent in the story telling either. It was OK, but far from the blockbuster classic that has been trailed. 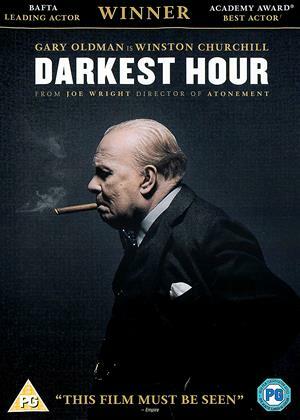 An impressionistic, mostly wordless, drama about the Allied retreat from Dunkirk in 1940. There’s little new in its depiction of aerial dog-fights, sinking boats and evacuation logistics, nor any one lead character to root for, yet it works. An initially confusing time conceit soon works beautifully to interleave events in the air (covering one hour), at sea (one day) and on the beach (one week). The main criticism is that there’s too much intercutting between different story lines. Letting a scene play out in its own time would have better enabled our involvement in it to grow. Unlike in Saving Private Ryan, scenes of heroism and tragedy are shown in an understated way, given dramatic force by their matter-of-factness, allowing the viewer to supply the emotion. This gives space for the incredible story to speak for itself, aided by a rousingly strident Hanz Zimmer score that avoids his usual pomposity. The movie isn’t a classic but, in the hands of imaginative writer/director Christopher Nolan, it’s a stirring watch. (2) of (4) members found this review helpful. Have to confess, Jack Hawkins and co had these war films taped up. Compared to Private Ryan, was like a film made for TV. As another critic has pointed out, was like a meet on Weston Super Mare beach. The average Tommy was portrayed as a modern style misery from the estate. Having met "Tommy" as a kid living in a pub in the 50's, they were stoic and good humoured. A lot had a better time in the war than they did at home! For some it remained the pinnacle of their existence. One day working long hours in terrible factory conditions, walking or biking miles to work in all weathers (with no Barbour jacket and Hunter boots), and the next driving a tank in the desert . Some truly remarkable stories of survival, and terrible pain and death as well. Dunkirk appeared to be another colossal management balls up, with the error dumped on Tommy and Jack Tar......as always......How come the Germans failed to wipe them all out is a mystery. Have seen the little boats that went from even the Thames estuary to get troops back, and although the numbers they actually brought were small compared to other transports, their courage and resource was amazing. I wish just half of that spirit could be mustered up today. When you see the gang crime in London it makes one wonder........a land fit for heroes?? I wasnt expecting much of this to be honest. The british army running away and getting stuck on a beach isnt our finest hour (funny how we are always told what a brilliant leader Churchill was when most of his calls lead to massive loss of life and defeat by a better calculated axis response). But this just film was just poor. The film seams desperate show the navy and the army in the worst light possible. An infantryman discarding his rifle to be saved by the 'brave' french at the start is pretty much how the film continues. Yes there were no doubt scenes of panic amongst brits - hard not to given the terrible, unprepared deployment to europe (lets not forget the French army were as strong and capable as the Germans at this point of the war - they were just poorly led and unprepared, much like the british) but to show the army and navy in this way isnt very respectful imo. The film itself was a bit rubbish. I couldnt follow it with everyone looking the same and the occasional time warp! The film seemed to be split into little stories which didn't really connect with each other. The acting was somewhat wooden and the dialogue , as little as was planned , was bordering on boring. Of each of the little stories none really offered much in way of drama , thought provoking or even shock at fearful events. Too much of too little. Older films concentrated on the true horror of the anticipated , and realised , carnage on the beach , the terror of the sounds of the incoming planes and then the hope , etched on the faces of the stranded soldiers , when they caught sight of the little boats. That was all that what happened at Dunkirk was. To portray that as a single , well acted storyline of an actual horrific event was all that was needed and was what previous films had done. Probably 50% of the filmgoers/renters bought in simply because of the popularity of Harry Styles , and there was nothing to write home about with his acting. 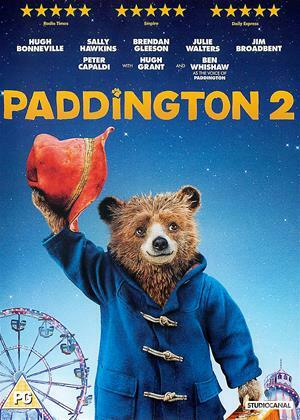 This film was a big disapointment, I had great expectations but was bitterly disapointed. If I never see this film again it will be too soon. It is historically inaccurate which meant it instantly lost all credibility. It gave a very clean sanitised view of war, not enough dirt and grime. Well it was OK but dwelt on minutiae. The big picture didn't come over, not least the small flotilla of civilian boats which wouldn't be adequate. No sign of the German outlook on the event. A Spitfire can shoot for 36 seconds in total. the planes in this film seemed to be able to reload themselves! Entertaining none the less but somewhat short of a blockbuster. A bigger budget needed to give this the full treatment. So this has a starry cast - and famous names - but the modest black and white film of Dunkirk from the 1950s, I think - is just the better film and the better drama. This film is bitty and rather messy - and never do you get the sense of 400,000 men waiting on the beaches for help. Sometimes it feels like there's 200 there - and maybe only 3 planes in the RAF. I think this is because the director wanted to 'keep it real' and have no CGI for the plans BUT just watch the wonderful BATTLE OF BRITAIN film from about 1973, I think, to see how glorious plane dogfight sequences can be. Good in parts. Some scenes. But overall not a great watch. Which is a shame because Britain fighting WWII for over 2 years before the USA joined in (and Russia too) was when Britain really did save the world - and all Brits should rightly be proud of that, and the world should thank Britain for evermore. Writing as someone whose father was there, it is most unsatisfactory. Earlier he had been attacked by two French deserters while going behind a sand dune for a pee, and had to shoot them both with his revolver. None of that sort of thing shown, in fact that many thousand French troops were taken off too. He walked onto a Ramsgate paddle steamer by the Mole. No depiction of gallant rear-guard fighting, to much concentration on a single Spitfire, not enough smoke from burning supplies, and the troops waiting to be evacuated were amazingly well shaved and tidy. And what about the sight of modern container cranes on the horizon? None of the planning behind the evacuation shown either. I cannot recommend this film, in spite of its hype at the time. I was looking forward to being stirred by probably the greatest "victory gained from defeat" in British, if not world, history. However, It was dramatically unconvincing and historically inaccurate. For most of the time, the beaches are almost deserted, when in fact there were over 400,000 men filling them. If they didn't have the budget to make this realistic, even with CGI, then they should not have used broad panoramic shots of the vast beaches. The lead spitfire seems to have inexhaustible fuel and ammunition, and when it does run out of fuel, still manages to shoot down a Luftwaffe bomber, an impossible feat. And it was the Hurricane that did most of the hard work, there being few Spitfire available at that point. No mention is made of the critical and tremendous Royal Naval planning of the exercise from Dover or of the call for prayer by King George VI, leading to the miraculous evacuation of 330,000 men when only 30,000 were thought possible, so we could carry on the fight against the Nazis and win the war. And Michael Caine, who is uncredited, only does a brief voice over as an unseen pilot. So if you want to see him, as headlined by CinemaParadiso, you will be sadly disappointed - a sentiment that summarises my feelings about the film. This film feels like a news-reel presentation. There is an objective remoteness which makes the film quite distinctive and I can hardly remember any character by name as we feel quite detached from their involvement though we observe their actions very closely. There are some interesting details such as the ducking of bomb blasts en masse, the floating Spitfire that has run out of fuel and the underwater scenes. They knew how to make war films in the 1950s - even if they are black and white and pre-CGI. I found this a grave disappointment. Hardly any acting to speak of and horrendously unrealistic. The RAF seems to consist mainly of Tom Hardy in a Spitfire with unlimited supplies of ammunition and the ability to glide around over Dunkirk without power and still shoot down Stukas. Similarly, Ken Branagh plays the Royal Navy single handedly. Not a very inspiring tribute to all those who were involved at Dunkirk. Who ever cut this film down to 106 minutes needed retraining. If I had not previously seen the whole film in the cinema previously, I would not have had a clue what was going on in multiple scenes. If you want to enjoy a well-made film, find a cinema in which to watch it. I enjoyed this but for some reason i was expecting a bit more , probably over hyped. Can't imagine what they went through at the time. Some very good acting . The film is more like a newspaper interpretation, I was assuming wrongly that it would be more of a factual documentary type of film the story line was poor and apart from the small boats I felt they missed the agonising time this was for our soldiers. For me the interesting aspect of the film is that the concept of three simultaneous timeline views of the evacuation, actually paid off, and did not hinder it. Agree with other reviewers that Mark Rylance was excellent as the small boat owner, and some of the facial expressions from Kenneth Branagh's said more that any script could have done as to the plight of the troops waiting to be rescued! I enjoyed it. The film for me fell between not having enough dialogue and characterisation while also not having enough of interest in the action sequences. An ambitious film in that there is not really a key lead, and it does not have a strong thread to any particular friendship or love theme. There are some great actors on display and one feels the enormous importance of Dunkirk as an event, but it needed more of a spark. How to avoid a good plot line, keep going back and forward in time repeating scenes and events (saves on production costs as well). anyone who thought the music score was good knows nothing about music, monotonous, dull, and annoyingly repetitive. The acting in the main was near to useless apart from Mark Rylance. I bet any Spitfire pilots that are left would be green with envy at the amount of ammunition these radio controlled aircraft managed to carry, at least 50 times more than the real thing. Also the majority of the small craft were requisitioned on commandeered, they weren't brave civvies going to rescue our lads, they were forced by navel officers to use their boats, that's a matter of historical fact. Kenneth Branagh's acting sounded like he couldn't be bothered to turn up. Only Rylance's acting prompts me to two stars. Not your average war film, there's not much on dialogue, narrative or heroics to be found here but what I did find was a portrayal of endurance, and one hell of a well crafted piece of cinema. Rarely do I believe in the 'needs to be seen on the big screen' espousal thrown at many big budget efforts, but in this case I really wish I'd seen this on IMAX rather than the small screen. The only real script note in play here is the intentionally mind-fuddling overlapping time narratives, a bit Inception-like and not, where the 3 main areas of interest: the initial group of soldiers from the beach, Tom Hardy in the skies, and Mark Rylance in his little boat, slowly conflate together in their own little time bubbles, it is I suppose meant to parallel how confused that event really was even if it could be described as a little too on the nose. The technical aspects here, the scale and practical effects are sheer wonderment. How anyone could find this 'dull' with that pulsating score keeping the tension up whenever it wants (more often than not) kept my attention. Managed about 20 minutes watching time AND that was hard-going. Never seen such a 'distortion' and 'amateur' production of the truth!! As others have reviewed, what about the rearguard action, just to mention one part, and with which air force were these guys flying? (My qualifications to comment on this . . . 20+ years in the Royal Air Force). Their portrayal was a parody and disrespectful. Sorry I selected this movie. Very very disappointing. Good director gone wrong. History poorly visualised. Abysmal shallow script. Looks like an amateur production with a very expensive CG makeover. Chronology all over the place. Probably edited with a lawn mower. As with so many modern films drama and dialogue were sacrificed in order to fit in lots of CGI action (aerial scenes were good to be fair). Throwing in lots of big name actors does not guarantee a good film (why was Michael Caine included as a Fortis leader on the intercom?). Dialogue was poor, the script was confined to the bare bones of the Dunkirk story. The scene where troops cowered in a trawler while unseen Germans took potshots at them was boring. Where was the story of the rearguard? What happened to the trials faced by the troops on the beach? Why did it give the impression that only the small ships took men off the beach? The final straw was the performance by Mark Rylance - his lack of emotion when a young member of his crew was killed was laughable - perhaps he was too busy contemplating what he was going to spend his paycheck on! Don't waste a couple of hours of your life on this film. This does convey the desperation those soldiers must have felt when stuck at Dunkirk, and the ingenious way Churchill deployed the smaller ships to pick up the soldiers. The visuals are great and can't fault them, but their is no plot per say, I have seen this done in older film in which we serve. They end up being a little dull after a while. My late Uncle was fortunately among those brave men rescued from 'The Mole' during that terrifying time for them, hoping and praying and trying to wait patiently to be rescued from Dunkirk. He never spoke about it. All he said was on D-Day (when my own father was in the front line) when he remarked in a letter to his Mother, that he wished he could have been there to give Hitler the bloody nose he deserved for what he did to him and all the rest at Dunkirk. I didn't see this film in the Cinema and while it's relevance to factual events was gently handled and was emotional in parts, especially redressing the actual involvement of the RAF which is often overlooked; the film itself was rather disjointed in it's flow. A valiant try but not definitive, as the rear guard was hardly even noted. Pity really, but at least it should go some way to showing that these things really happened to real people. 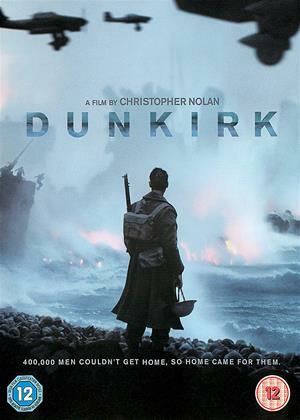 When Christopher Nolan set out to make a war film about the 1940 evacuation of Dunkirk, he approached it with bigger emphasis on the war than the characters. His camera holds firm on the urgency of events than the backstories of the fictional soldiers he inserted for this film. This could be a negative trait in that Nolan doesn’t give us much of a reason to care for these characters, but I believe this work to the film’s benefit. How many war movies have there been where a soldier talks about his girl back home, a son waiting for him, being one month away from retiring or their future plans that may not come true? Nolan would rather we focus on the war than such familiar cliches. There are three arcs followed over different periods of time during the evacuation. On the beaches of Dunkirk, the soldier Tommy (Fionn Whitehead) tries to find a way off the beach that is already overcrowded with soldiers just trying to get home. He’s to go to great lengths to hitch a ride, from pretending to be a medic to hiding among the docks to be a stowaway. This is our central protagonist for this arc, but he’s no war hero. He just wants to live and is smart enough to figure out how to do so, but will still have to live with the guilt of leaving others behind. When he finally makes it onto one of the boats, he declines going inside to the warm mess hall and stays topside to keep a lookout for the enemy. Sure enough, a torpedo hits the boat and Tommy is one of the lucky few to make it off. Not everyone in the mess hall escapes. With the beach constantly assaulted by German planes and bombers, a small British air force is called in to provide support. Farrier (Tom Hardy) is in a squadron of only three that must take out the Germans and it’s not easy. Those English Spitfires are not the most reliable of craft and Ferrier will have to rely on good memory to monitor his gauges that have gone dead. Unlike Tommy’s story, there is no room for needless banter here as most of Hardy’s lines are orders with his concern for his Spitfire’s failing mechanics remaining mostly silent. The only section with the most character comes in the sea story where a civilian yacht captain (Mark Rylance) takes it upon himself to steer towards Dunkirk and rescue soldiers. Rylance’s character is heroic enough to head towards Dunkirk even when a shivering rescue (Cillian Murphy) informs him not to, but smart enough to know when to pull back when it’s too dangerous to be involved. The movie could have been entirely about his journey considering how intense, driven and strategic it comes off as. The movie is wall-to-wall action with the character given so little time to develop that they’re rarely referred to by name. Some don’t even have names as with Cillian Murphy’s rather large performance being dubbed as the role of Shivering Soldier. But the action is clearly where Nolan shines best in his films and he’s brought his A-game for throwing us straight into the war without compromise. When the bombers begin to assault the beach, it’s incredibly loud to the point of making theater speakers quake. I have never listened to such sound mixing that ever made me as fearful of a war as this picture did. Some might call me a hypocrite for praising Nolan’s horrifically noisy sound direction when Michael Bay will crank the volume just as high with his Transformers movie. There’s a key difference. Bay’s war scenes are meant to be fantastical and thrilling, intended for us to be more excited about charging into combat of lasers and explosions. Nolan doesn’t want us to rush into war; a bomber that is so ear-splittingly loud as it looms over with intent to obliterate is not something you want to hear. The insistence on making the war so loud helps make Tommy’s cowardice state a little more understandable. Dunkirk is a very unconventional war film. The larger focus on the war at hand than the players involved gives the film a subtle appeal of the minds of soldiers for such an action-heavy scenario with an intense score by Hans Zimmer. The three stories at play with different duration and non-linear editing keep the film moving with energy and perspective. There are no major heroes in this picture, only survivors. When one soldier finally makes it back to England, he is greeted by a civilian that hands him a meal and thanks him for his service. The soldier rejects the thanks to argue that all he did was survive, but the civilian retorts that this is enough. Nolan’s film helps us understand that need for survival a little more than just the blind faith of those who weren’t on the battlefield. Few war films are this precise and operatic with an intent on showcasing the horrors of war.